Looking to wow your guests at that all important soirée you are planning? 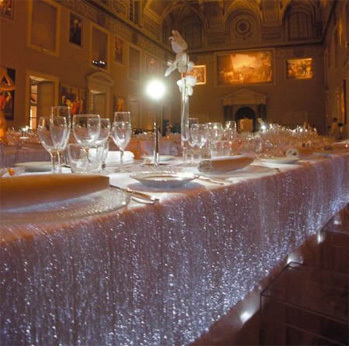 Let me illuminate the possibility of this Fiber Optic Tablecloth to set the scene/ mood for a truly magical evening. Once the room is dimmed, the white and blue glow from this waterproof and washable cloth will be a stunner. 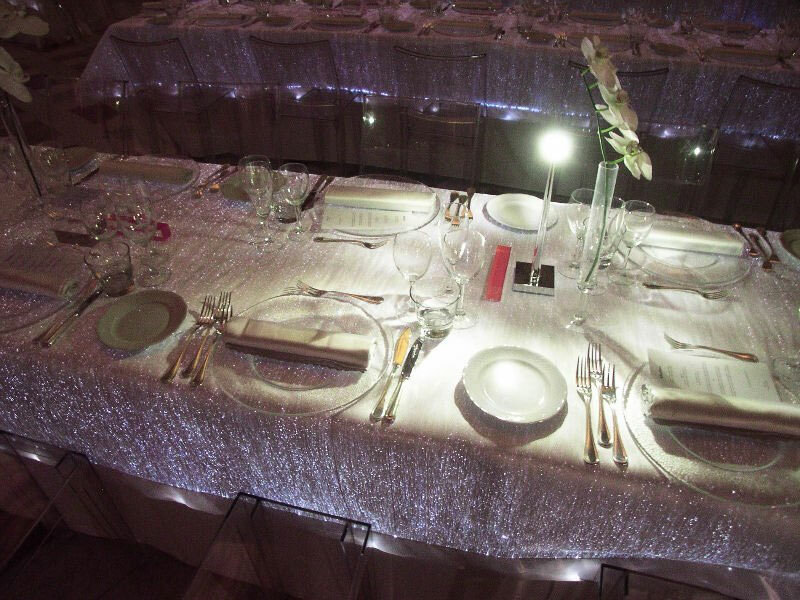 Just remember that when you set the stage like this, your menu ought to be spectacular to meet your guests expectations.